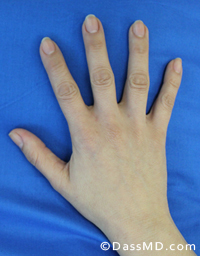 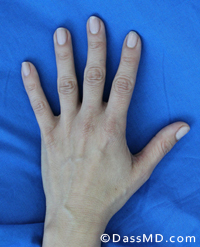 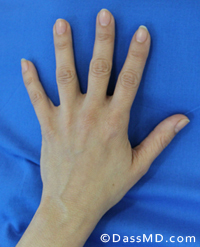 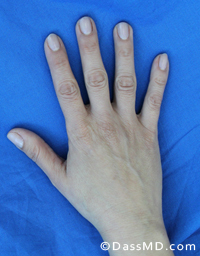 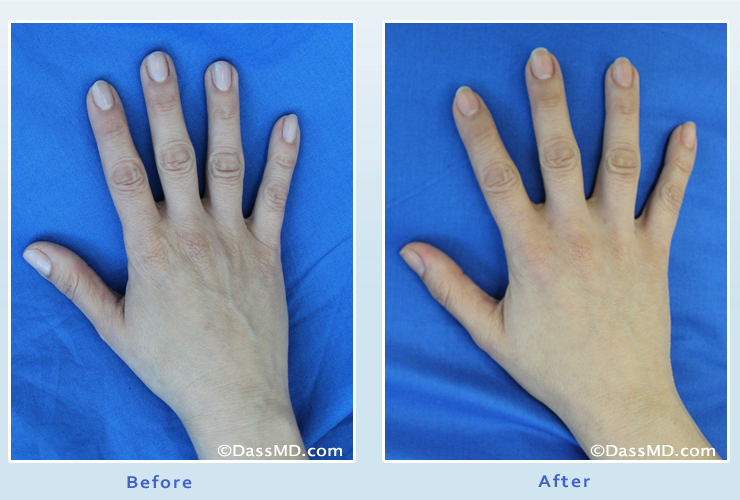 Fat was transferred to the hands to improve the appearance of the hands. 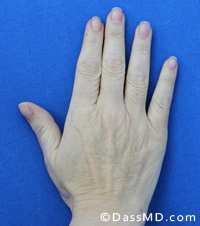 Notice how the wrinkles and veins are less visible. 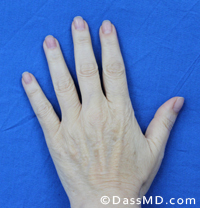 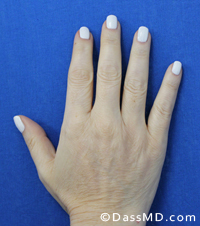 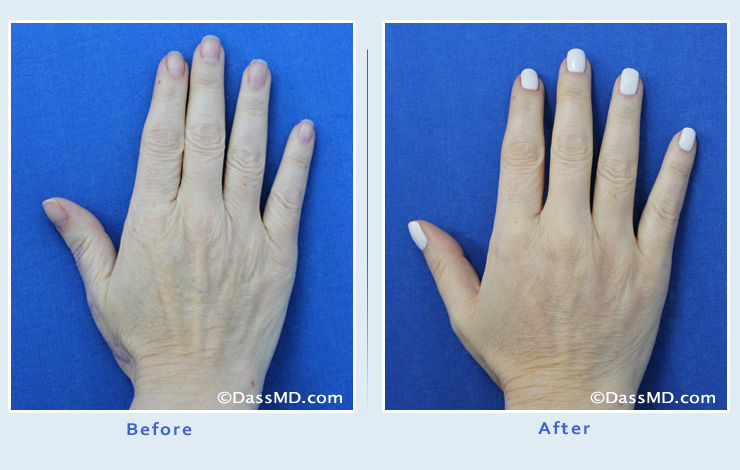 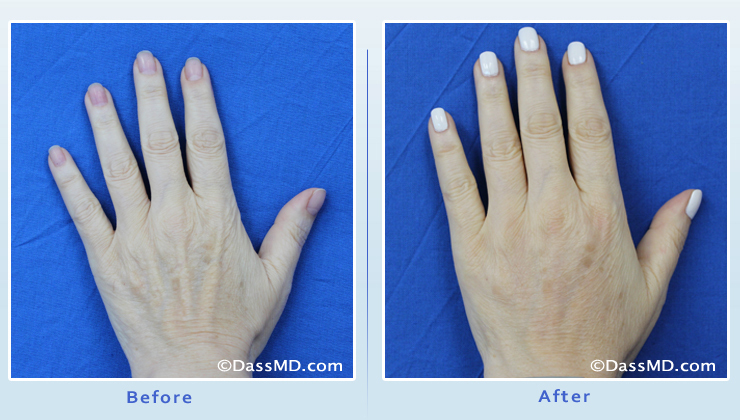 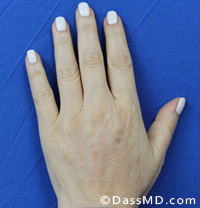 Notice how the volume has been restored to the hands and there are fewer wrinkles.